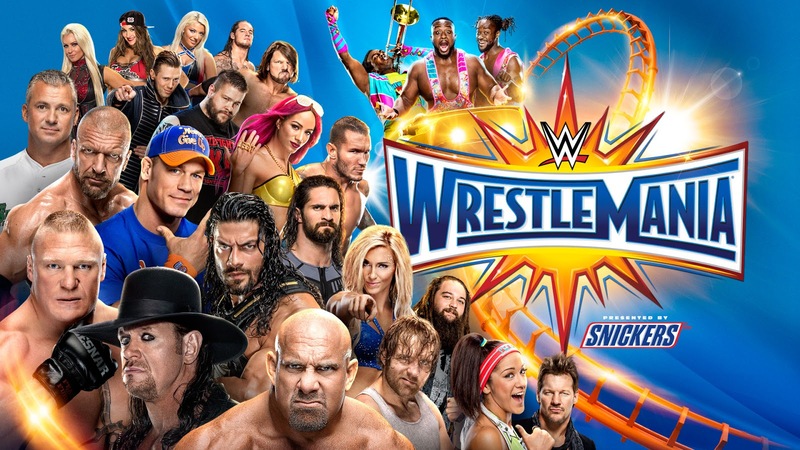 The second part of this series asks how much has changed in the last 30 years of WrestleMania history and, more pertinently, has it changed for the better? WrestleMania 23 "All Grown Up"
In a previous article for this website, I’ve reflected that a significant factor in my wrestling fandom is pure, unadulterated nostalgia: well, WrestleManias 23 and 33 imply that a wistfulness for the past is part of Vince McMahon’s psyche too. On April 1st 2007, McMahon took WWE back to Detroit, staging the 23rd instalment of WrestleMania at Ford Field, thereby marking a return to the stadium show, a booking policy that is now synonymous with the granddaddy of them all. Twenty years on from the classic that was WrestleMania III and Aretha Franklin was back to reprise her "America the Beautiful" duties while it was strongly rumoured that the plan for one of the featured contests was to book a returning Hulk Hogan against The Big Show. It wouldn’t have been the greatest match in the world (it was just a tribute) but the fervent desire to pay homage to Mania 3 was testament to how McMahon perceived that particular event as a personal favourite and one of the most important shows in company history. That aforementioned Hogan bout didn’t come to pass; indeed, this was a card that had a decidedly 21st century feel, making it feel markedly different from the Manias of the 80s and 90s. The action was largely exciting: in the earlier shows, the excellent matches stood out amongst the short, formulaic bouts but here the duds, notably the match between Kane and The Great Khali, were more noticeable as the action maintained a fairly high standard. The booking leaned on high profile gimmicks, from ladders and special referees to the stipulation of hair vs hair and by this era, such shortcuts had overtaken championship titles in terms of adding value to a card. Take the Intercontinental title as an example: it was the semi-main event in 1987; early card fare in 1997; not even defended in 2007. Of course, the biggest gimmick of the show was the use of one Donald’s Trump. Mr President’s role at WrestleMania has been discussed before ( see here: http://www.acrossthepondwrestling.co.uk/2016/11/opinion-donald-trump-and-wrestling.html) but his cameo served as both a link to the Manias of old while also foreshadowing the events of the future: it reflected Vince’s love of courting celebrities and mainstream attention whilst also providing the blueprint for his quick fix booking policy, demonstrating the relative ease of importing an outsider to generate buzz in lieu of backing a lesser star on the main roster. 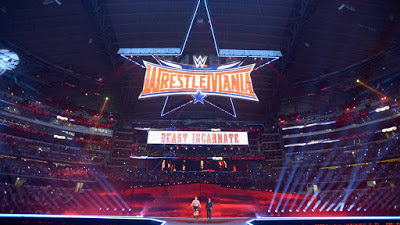 WrestleMania has undergone some adjustments through the years, with its visual presentation, work-rate and celebrity involvement varying from era to era. However, this year’s version of the show has much in common with the prototype McMahon formulated with WrestleMania III. As ever, the company has striven to get everyone on the card, and not just through the shortcut of the Andre Battle Royal and multi-woman scraps on both Raw and Smackdown. If fact this year’s event seems like a throwback to those shows of old, with regard to the sheer quantity of matches; however, with two pre-show hours to play with, chances are few matches will feel as rushed as they were back in the day. All these years later, and very much in keeping with the practice of the 80s, we have McMahon’s beloved big man match in Brock Lesnar vs Goldberg (a match that also maintains a more recent tradition of relying heavily on part-timers). The celebrity involvement seems to have fallen through but we were a Shaq booking away from experiencing serious shades of those early Mania days. I’ve seen some people online lament the quality of this year’s card and bemoan the lack of classic matches. Whilst I have some gripes with the line-up (Cena vs Undertaker is going to be the new Sting vs Undertaker, isn’t it? 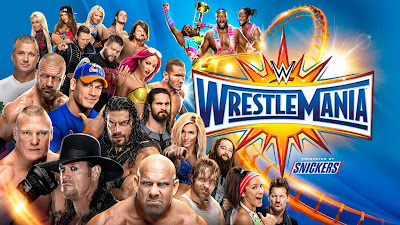 ), I feel that this year’s show will supply exactly what the famed Mania 3 delivered in spades: a sensory spectacle on a huge scale, an extravaganza of epic entrances and a presentation of wrestling unlike that we see every other day of the year. In that respect, when reviewing/previewing the Manias of 87, 97, 07 and 17, it was the 90s version of the show that caused the most offence: for my money it had the single best match in Hart v Austin but being held in an arena, filmed like any other show, emphasised how WrestleMania is about more than just match quality. If Vince’s baby should serve one function, it should be to take your breath away. And as that opening shot from March 29th 1987 proved, as a suited McMahon bellowed his welcoming address to the screaming masses that packed the vast expanses of the open air stadium, sometimes it doesn’t take a 6 star match to do that.